There are certain pieces of keepsake jewelry that become more valuable with age, like this pendant from Posh Mommy. 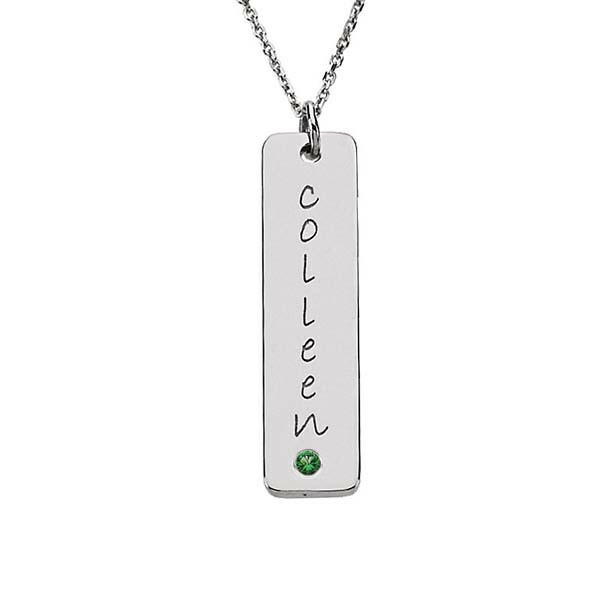 Crafted in sterling silver, the tall tag is rectangular and will accommodate up to eight characters above the simulated emerald stone, representing someone born during the month of May. The engravable pendant (chain sold separately) is a truly enchanting piece of jewelry.